It's been a while since my girls have been so excited about their clothes. Don't get me wrong, they love everything in their closets. It is one of my rules to never make them wear anything they don't like. 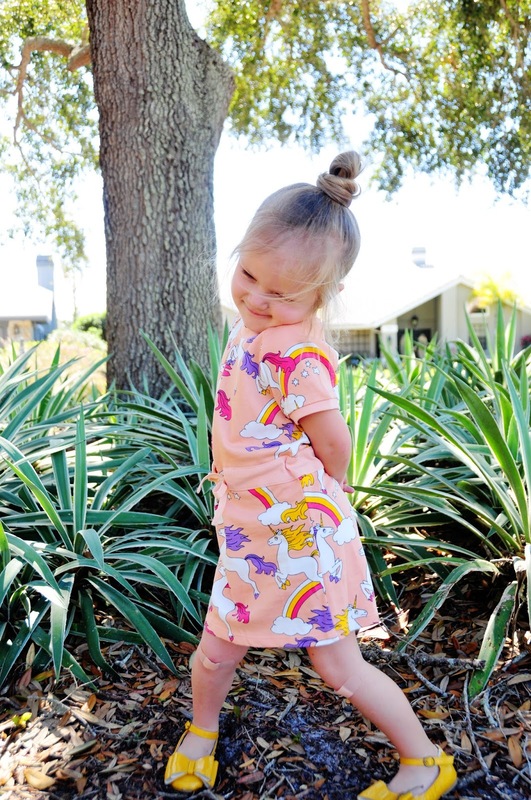 But there is something special about these cute Mini Rodini unicorn dresses. May be it's the ultra soft 100% organic terry fabric, may be it's the comfy cut. 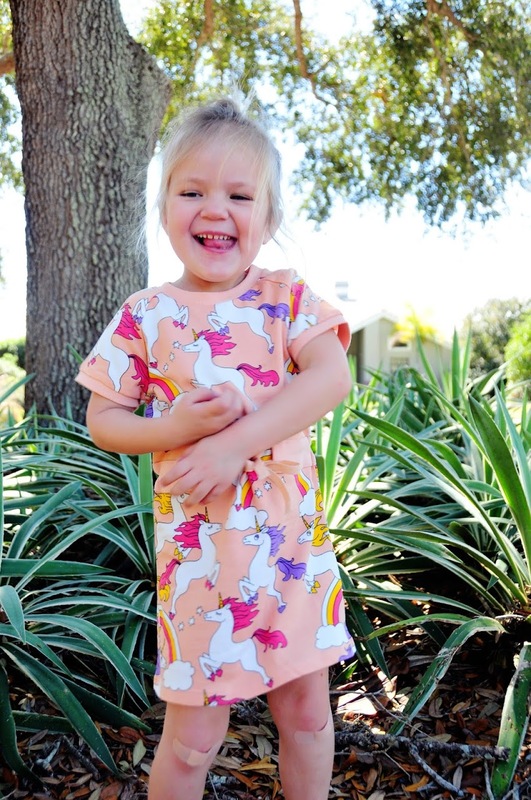 Or may be it's the adorable, quirky unicorns and rainbows print. Or the combination of all! 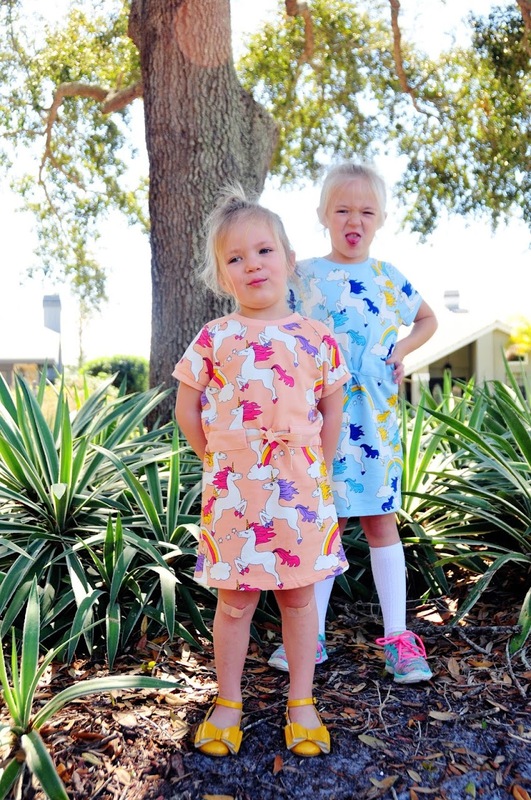 As soon as Jules and Emma saw these dresses, they squealed! 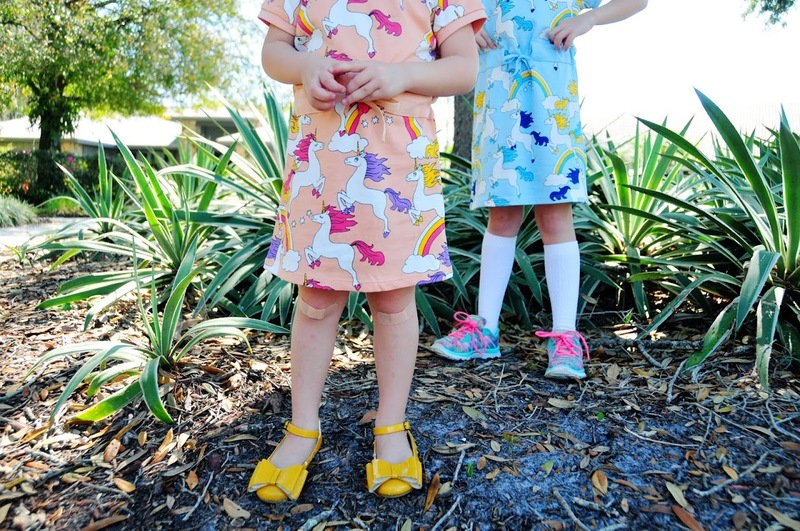 And what little girl wouldn't, they have unicorns on them! But it was when they put the dresses on, when magic happened. They danced, and ran, and goofed around... But why write when images speak for themselves. 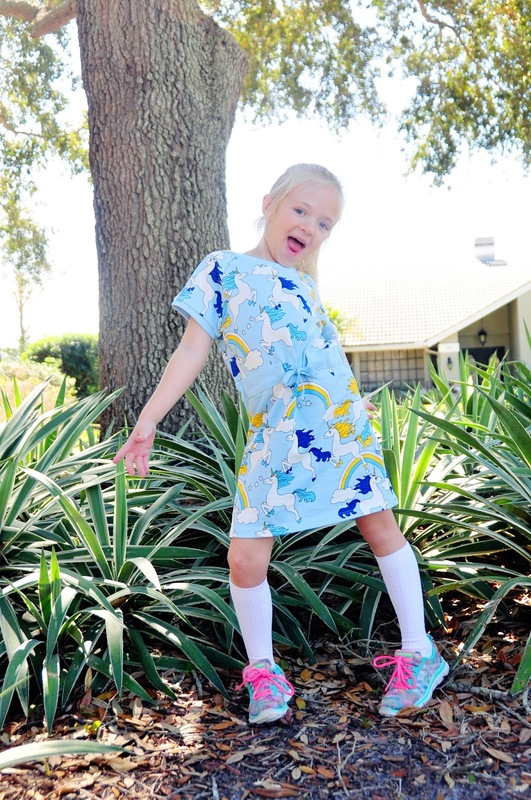 Mini Rodini is a new brand to My Little Jules boutique, but you are guaranteed to fall in love with it instantly. 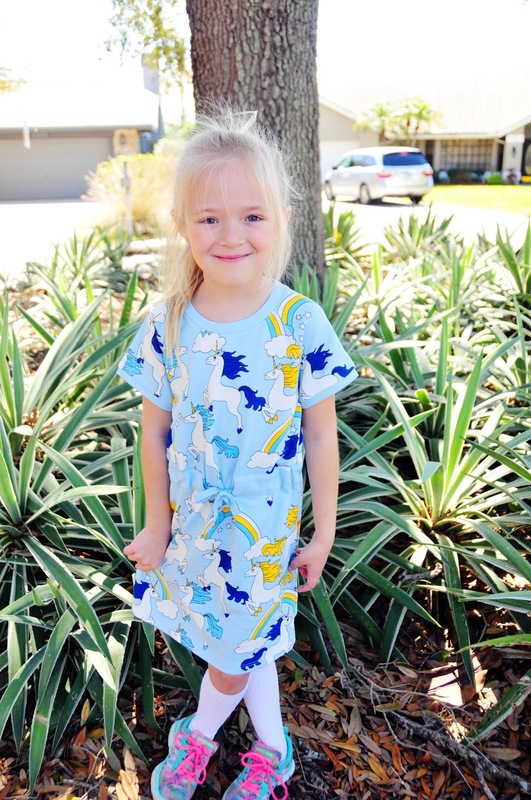 We have had a few Mini Rodini pieces before and what I have noticed about this line is that vibrant colors don't fade. I don't do the whole hand-wash and lay out to dry thing. There is no time for that in out busy schedule. So most clothing my girls own goes in the washer and dryer with everything else. 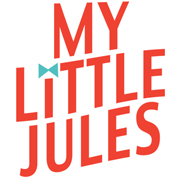 We have quite a selection of Mini Rodini clothing at My Little Jules boutique! 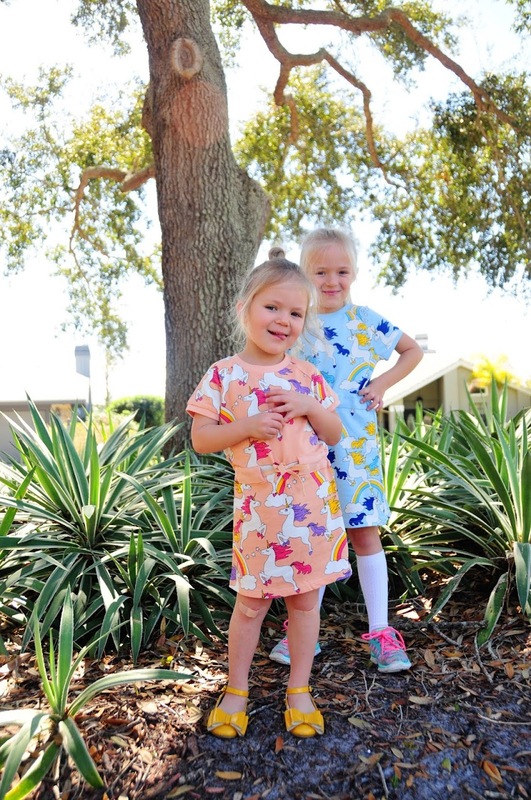 You can easily put together coordinating sibling outfits (yes, this includes boys and babies). Shipping is free on US orders of $50 and more.